FREE Fast Reliable WiFi! Air Con/ Heat Pump, Kitchenette, Coffee/Tea, TV with 50+ Sky Channels! En-suite with Shower, Hair Dryer, King Bed, EARLY Check-in from 12 Noon! Late Check-out @ 11am! Ground Floor unit with Parking @ your door! *Compact studio forward of the motel. The Loft is a Great Upstairs Unit @ Front of the Motel with HUSH Glass! Queen Bed, Air Con! FREE WiFi! & FREE BROADBAND! EARLY Check-in 12 noon! LATE Check-out 11am Comfy Chairs, Widescreen TV with Over 50 SKY Channels! En-suite Bathroom with a Great Shower! Kitchen, Plunger Coffee Tea etc & Free Parking. 28m2 Studio with Air Con! *FREE Fast Reliable WiFi & Broadband! *EARLY Check-in 12 Noon! Late Check-out 11am!Executive Queen Bed, Bathroom with A Great Shower, LCD TV with Over 50 SKY Channels! Kitchen, Plunger Coffee/Tea etc, Ground floor unit with Private Courtyard & Parking @ your Door! Quiet Studio with King Bed! FREE Broadband! FREE WiFi! LCD TV with Over 50 SKY Channels! Kitchen, Plunger Coffee & Tea etc, Air Conditioning! Bathroom with SPA Bath & Separate shower! Hair Dryer, Early Check-in 12 noon! Late check-out 11am! Private Courtyard to relax in, Ground Floor Unit with Parking @ your Door! 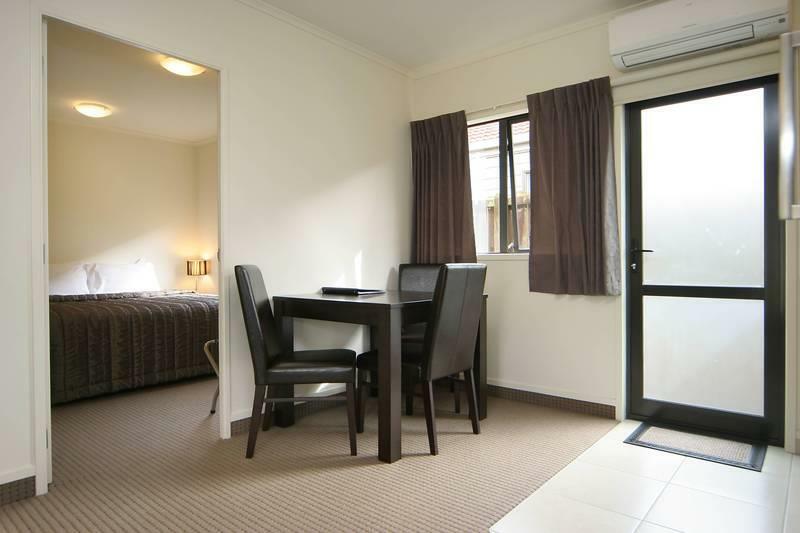 35m2 2 rooms A Great Quiet unit with King Bed in Bedroom with own LCD TV! Single Bed in Lounge (use as Couch) LCD TV Both TV's have Over 50 Sky Channels! Air Con/Heat Pump! Bathroom with SPA Bath & Separate Shower, Hair Dryer, Kitchen, *Plunger Coffee Tea etc, *FREE Broadband! FREE WiFi! EARLY Check-in 12 Noon! *LATE Check-out @ 11am! A Ground Floor Unit with Private Courtyard and Parking! 32m2 2 rooms *Queen Bed in Bedroom with own LCD TV! Couch in lounge (Pulls out to bed) *Lounge with LCD TV with Over 50 SKY Channels! Air Con/Heat Pump! *FREE WiFi! *FREE Broadband! Kitchen, Plunger Coffee Tea etc, Bathroom with SPA Bath and Separate Shower! Hair Dryer EARLY Check-in 12 Noon! LATE check-out @ 11am! *A Ground Floor Unit with Private Courtyard & Parking @ Your Door! 1x Queen & 1x Single Beds! FREE Broadband! FREE WiFi! Widescreen LCD TV with Over 50 SKY Channels! Kitchen, Plunger Coffee & Tea etc, Air Conditioning Heat Pump! Bathroom with SPA Bath & Separate shower, Early Check-in 12 noon! Late check-out 11am! Private Courtyard to relax in! *Ground Floor Unit with Parking @ your Door! 38m2 2 rooms *Lounge with King Bed! *Separate Bedroom with 2 Singles! *Widescreen LCD TV with Over 50 Channels with SKY! FREE WiFi and FREE Broadband! Early Check-in from 12 Noon! Late Check-Out @ 11am! *Bathroom has a Great Shower! *Kitchen with Cooking Elements, Electric Fry pan, Microwave, Fridge, Coffee/Tea Supplies *Serviced daily with Towels, Coffee/Tea, Soap etc replaced/Topped up daily *Air Conditioning Heat Pump! *Private Courtyard to relax in! *Parking @ your Door! 58m2 3 rooms 2 *A Great LARGE Unit Sleeping in 3 Areas! *Queen Bed in Main room (Lounge) with Couch & LCD TV with Over 50 SKY Channels! 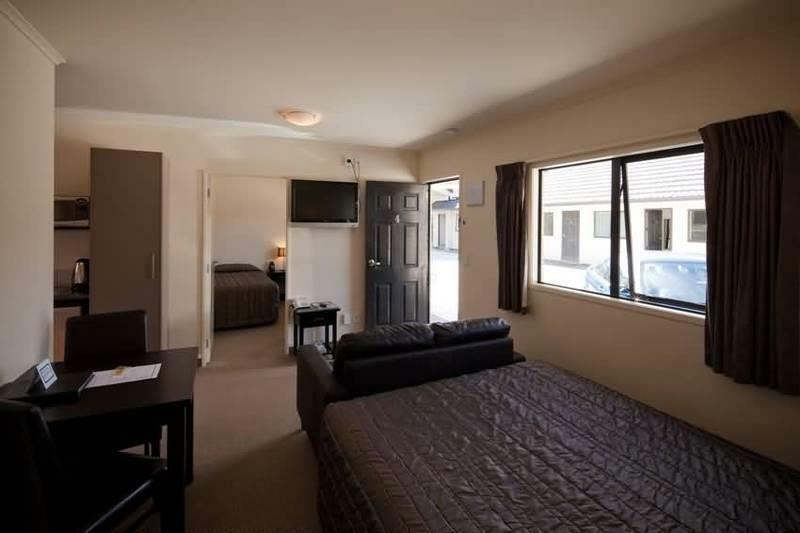 *2 single Beds in a Separate Bedroom *room 5 3rd Bedroom with Queen Bed, Own TV with 50+ Sky Channels, Air condition/ Heat pump & Own Bathroom with Shower, *2nd/Main Bathroom with SPA Bath & Separate Shower, *This Unit comes with Air Conditioning/Heat Pump! *Kitchen with Cooking Elements, Electric Fry pan, Microwave, Fridge, Coffee/tea Supplies *Serviced daily with Towels, Coffee/Tea, Soap etc replaced/Topped up daily *Ground floor unit! *Private Courtyard! *Parking at your Door! Hamilton’s newest accommodation in Ulster street opened late 2008. We have both studio and one bedroom units available. 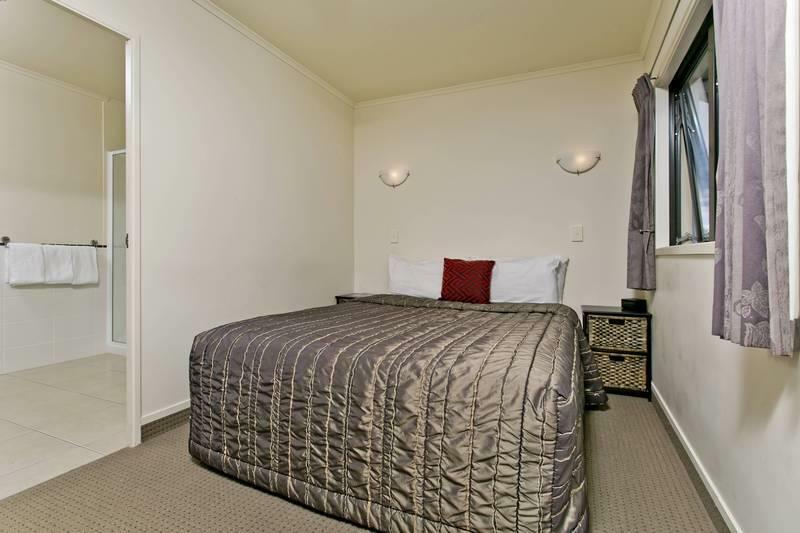 We are located within the central business district and only 500m away from the Waikato Stadium.Ballinor Motor Inn is on Ulster Street in Hamilton, we are within easy walking distance to the city centre, Restaurants, Cafes and Supermarkets.All units are modern, warm, well appointed and serviced daily.